Ram Rebel is unique in the U.S. full-size truck segment with 33-inch off-road tires, air suspension and custom interior details. It seems that black is the new black. Amongst the many blacked-out show vehicles at the recent 2017 North American International Auto Show in Detoroit, USA, was Ram’s imposing Ram Rebel Black. Ram Rebel Black special edition package is offered with all available Rebel colours, adding black wheels, brush guard and theme-matched all-black interior. 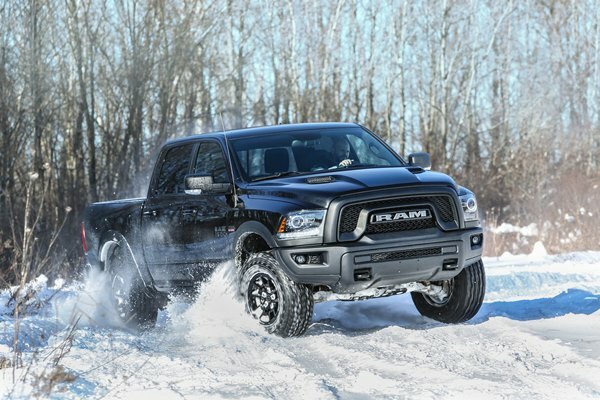 “Adding the Rebel Black package to an already aggressive off-road truck will continue feeding the momentum Rebel is creating for the Ram Truck brand,” said Mike Manley, Head of Jeep Brand and Ram Brand, FCA – Global. Ram 1500 Black is a US market only addition to the RAM range – at the moment – as it is based on the Ram 1500. However, Ram New Zealand will be evaluating local interest in the Black equipment package once it is available in the USA.